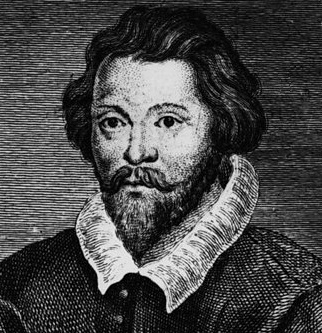 As a young man, Byrd is thought to have studied under Thomas Tallis but that hasn't been confirmed for certain. What is clear is that in later life he worked closely with the older composer when he took up employment at the Chapel Royal, the Queen's church. There they collaborated extensively, shared duties as organist, and also shared exclusive rights (granted by the monarch) to publish sheet music for the country. For example they jointly published the "Cantiones Sacrae" which consisted of 17 motets by each composer (34 in total), the whole publication being dedicated to Queen Elizabeth I and published on 17th November, the 17th anniversary of her ascending to the throne. Being a leading Catholic working for a protestant Queen must have been something of a delicate position for the composer, but one that he obviously managed with diplomacy. While he composed music publicly in English for the Anglican church, he also found time to write more privately for the Catholic church such as three settings of the Latin mass. 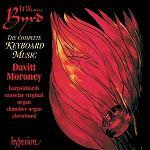 After Tallis' death, Byrd was solely responsible for music publication in the country. He also went on to compose music which was a leading example to contemporary composers and highly influential to later English composers. The music included much for voices and for organ, including of course substantial quantities for the church, motets, madrigals, preludes, grounds, variations and "fancies" (freely constructed works similar to "fantasies"). A "Pavan and Galliard" were a pair of dances in contrasting styles frequently played one after the other, and Byrd wrote several such pairs. The Pavan: The Earle of Salisbury (i.e. dedicated to the Earl of Salisbury) is a good example of the more stately Pavan dance, illustrating Byrd's polyphonic keyboard writing. This example is also available in these formats: Online "Scorch" Sheet Music, or the downloadable PDF Sheet Music, MIDI file or MP3 file. Much of Byrd's keyboard music (usually for Virginal similar to a small harpsichord) has been preserved in hand-written collections held in English museums. One such collection is "My Ladye Nevells Booke" completely dedicated to music by Byrd, and another collection called the "Fitzwilliam Virginal Book" has almost 300 pieces including several by Byrd. Both of these collections have a work by Byrd which is a set of arrangements on "Sellenger's Round" a folk dance melody which was very popular at the time. Here is the sheet music for Byrd's First Variation, which can also be downloaded as PDF Sheet Music, MIDI file or MP3 file. 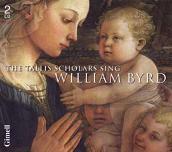 Here is a small section of the many CD's available of Byrd's music. Many of these have been recorded by the Tallis Scholars and other groups who specialise in authentic performances of Elizabethan music.